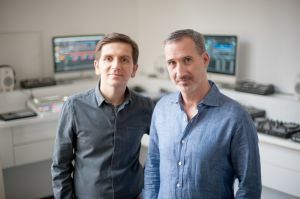 Since the last interview with Native Instruments' CEO Daniel Haver in 2008 the music software landscape has changed dramatically. 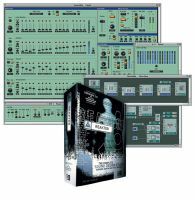 At that time a copy of Native Instruments Komplete would cost a customer $999. 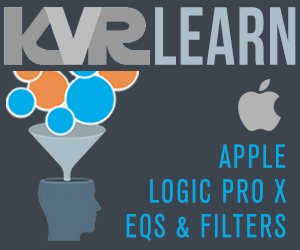 At the moment Apple bundles all of their software plug-ins and sells it for $29.99 as MainStage, which has the effect of forcing music software companies to alter their strategies to remain profitable and keep innovating. Fortunately for the principals, employees, customers, and just plain fans of NI the company has sailed through the changes without missing a beat. Today they are a hardware company, an applications company, a sound design platform company, and yes, they still make plug-ins. 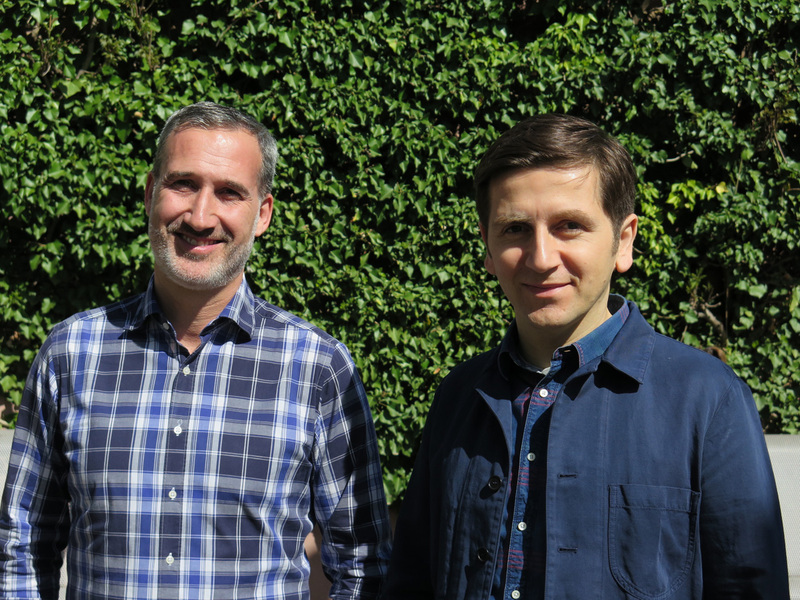 Daniel and Mate Galic, NI's President/CTO sat down with us to talk about the past, present, and future. Mate, are you a musician? How did you get to NI? I come from an electronic music background. In the '90s I was involved in the early techno movement in Europe, and was active as a DJ and electronic music producer based in Cologne. While Daniel and I actually only lived about ten miles apart, we didn't know each other back then. I was really going through the whole bubble of independence and music culture. I have always been interested in the future of sound, because I was very close to techno music, or progressive electronic music back then. And this is what brought me to Native Instruments. 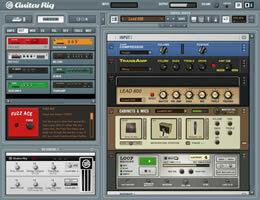 I had a very early version of Reaktor. One day in 1999 I downloaded an update and there was a sign that said: "We are looking for you." I clicked on it and read about what they were looking for and I felt that they were looking for me. They were looking for somebody who would connect them to the music scene. At that point in time, I was ready to go more onto the production side, and I realized the potential of the computer. I wanted to become part of something that brings the cutting edge of electronic musicians together with people who are creating the tools. Our frustration back then was that the stuff that was being rereleased felt like an afterthought. Native was looking for someone who could help connect them to the music scene. And, you weren't talking about the sequencers. You were talking about hardware? Absolutely, yes. The sequencers were already catching up back then. It was more that the sound creation tools, and how you were supposed to use them didn't really feel connected to what was going on in the progressive music scene. So what are some of the things you did to bring NI closer to artists? 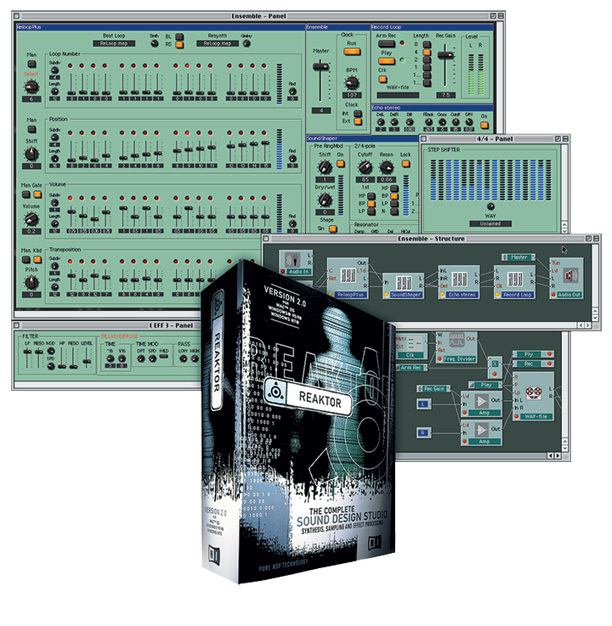 One of the first things I got involved with was the Reaktor library. At the beginning, Reaktor —even when it was still called Generator —was very much about having a toolkit to build sounds for yourself. We wanted to connect to the people that were at the forefront of realizing new software ideas with rapid development. Mate was an integral part of the electronic music scene. The other founders of Native Instruments had their roots in other genres such as jazz and metal, and they weren't as interested in electronic music. I was all about techno, house, dub and such, and that's where Mate and I clicked instantly. When we first met, we were immediately saying: "Why only the production environment, we should also create applications for the dance floor." And that paved the way for our whole DJ strategy very early on. 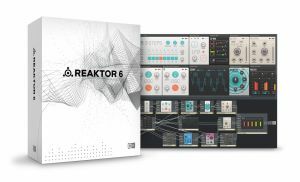 Reaktor was our first product, and to this day Reaktor has attracted an ever-growing community of builders and designers. 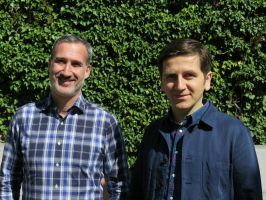 They used to build tools and prototypes for Reaktor and now that the platform has grown are building more complex products. Especially the recent release of Reaktor 6 and the introduction of Blocks will help to expand this community yet again, as we really focused on making instrument design in Reaktor much more accessible by anyone. It was an especially thrilling challenge to bring such an iconic and mature software to the next level, so we are now really excited to see what ingenious instrument designs the community will come up with. And, by the way, many NI developments are still being prototyped in Reaktor. 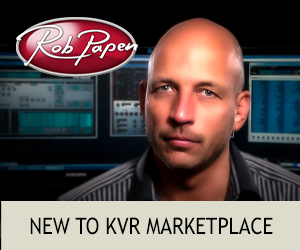 You guys have had to make adjustments given the current economics of the music software market. 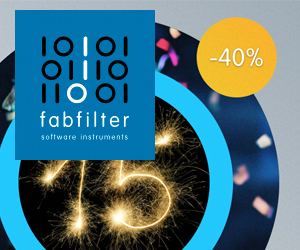 As a user it appears that you guys consolidated some your synth development into the Reaktor family. Funny enough, the whole culture of discounting software has not had an impact—literally. There was not a dip in our sales. We were initially concerned, and wondering what the impact might be, but we had already achieved two important things by then. One, the credibility of our instruments was beyond anything on the market. 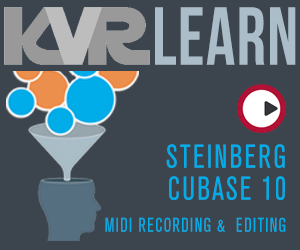 So even with all of the instruments that ship with Logic, and which we greatly respect, we don't think it's on par with what we do and luckily the users feel the same. Secondly, the price-performance ratio with our instruments was already very favorable back then, and is even more attractive today. 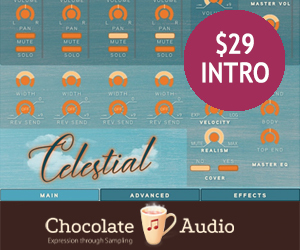 With Komplete you get an amazing amount of instruments and effects at a very low price. Did we lower pricing over the years? Yes, but honestly it was more that we felt we can attract more interested music makers to work with our tools. This is also why the Komplete brand is still very successful and hasn't seen any decline at all over the years, much rather the opposite. The direction of our hardware stems from this belief that truly powerful software needs deeply integrated hardware. We were not satisfied with the user experience that was available, so we have tried to make a difference and even if others are now catching up, we are continuing to work on perfecting our hardware and software experience. 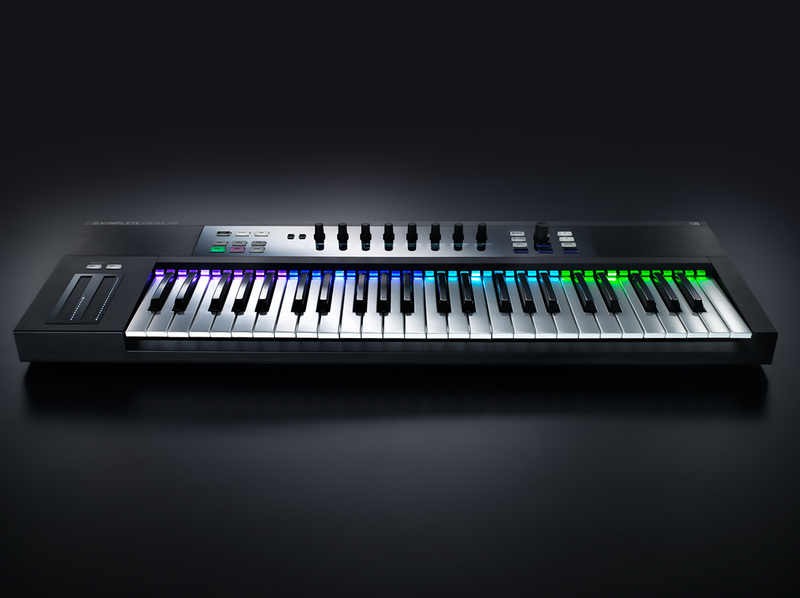 The development of the Komplete Kontrol keyboard was based on a conscious decision to provide a greater experience. It's not to make up for a loss of revenue in software sales, which was different for Traktor. With Traktor, we always had a bigger problem with software piracy and made very little money. So for Traktor, the hardware was not only the perfect companion to the software, but also a way to make some money after all of our investments over the years before. For Komplete we just wanted to add something to make the experience even better. What are the most important things that you learned over the years of making software that you were able to apply to generate the hardware designs? Wow, that really depends on the product. Well let's take Traktor. 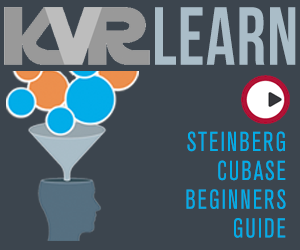 What are some of the other things that you learned about the ways people were using the software that helped you with your initial hardware designs? If a software manufacturer makes the software and a third party comes into play once the software is already released, the hardware and software of two different parties will never really feel fully integrated. Exactly, so the first thing was that we felt we can do a better job by doing both and think of it as an integrated system and not as an add-on. I think the best example is Maschine, where we created both hardware and software together from the ground up. The belief that you can create a better product and user experience if you take care of both components is very much a vital part of our identity at Native Instruments. And this is also why we created the keyboard series. Kore was quite ambitious. 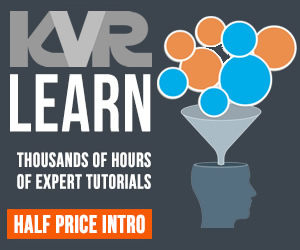 What did you learn from that experience of developing and marketing Kore that you have applied to subsequent projects? We learned that you should definitely find the right moment in time to be able to execute a certain idea. Kore was a successful product for us, but for what we wanted to achieve with it, it might have been too much to ask for at that time. Since then we've developed a more modular code base that makes it much easier for us to bring all the elements together. 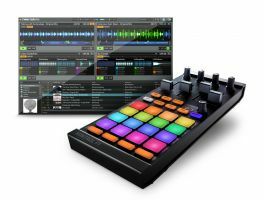 Whatever we do for Komplete actually has benefits for Maschine and Traktor. We have now developed backend technology that makes it easier and more flexible for us to integrate our diverse hardware products with the software. The brands are customer specific differentiations but the code base is getting less and less different. We were really sad to discontinue Kore, but we had to do it because the architecture under the hood of Kore was unfortunately not scalable enough. So when we released the keyboards, some people said, "Wait a second, this reminds me of Kore, and will it end up the same way?" The answer is not at all, because this time—and this is the learning—we have build on top of an architecture that allows us to take it into the future. Can you give me an example of a feature that's in the new Complete Kontrol keyboard that couldn't be realized as a result of the inability to scale up? Well for one what we call the .ncs round trip. Soon you will be able to create a preset in Massive or you create it from within the computer control software or from within Maschine and no matter from where you come, it will always read in the individual databases. So it doesn't matter where you are anymore; it's always just one file. A Massive sound is a Massive sound, no matter where you create it. It's a unified file format, which we couldn't realize architecturally with a Kore code base. You have an NI system. What does it mean for someone that is in your world completely, and what does it mean for someone that is not in your world completely? Back in June we opened up our internal file format to the world. What we call the Native Kontrol Standard or in short NKS. If you want, you may consider NKS an expansion of VST. Internally, when we work with a keyboard and Komplete Kontrol and our different instruments, they are connected via NKS. Now we have made NKS public so that other developers have a chance to work on the same level of integration between their instruments and our keyboards, and vice versa. 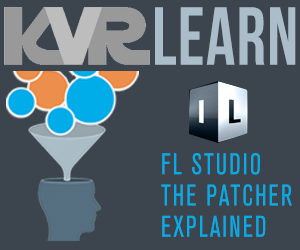 Why would a third party plug-in developer make that effort? Because he would get exposure to a huge customer base as NKS is not just limited to the Komplete Kontrol family, but also extends to Maschine. And he will bring his instruments completely on par with everything that NI does. For example, there's the auto-mapping, which we call Native Map. There's use of the unique light guides. You can utilize the touch strips in context-sensitive ways. We are making all the features that we are utilizing to get the integration of our instruments to the system available to anyone who is interested in them. Obviously there's some quality control in place as for us it's essential that our customers have the best user experience. We're already working with some premium companies who actually helped define NKS. It's important to listen to their feedback and receive their input to make sure that their needs are also considered as we define the SDK. 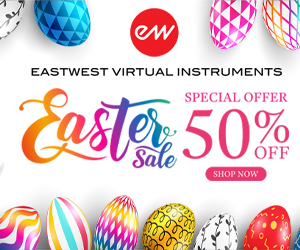 Of course we also offer VST support for our keyboards, but one will obviously not enjoy the deep integration and advanced functionality that NKS can offer third party developers. Our first design goal was to create an exciting interface for the Komplete family, which we have achieved. But now it's really about evolving the system. Both the Komplete Kontrol system, and Maschine platforms are constantly evolving. 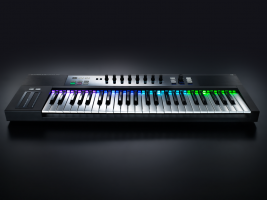 That's why we really believe that Komplete Kontrol hardware will become the most powerful master keyboard, as well as the best interface for Komplete and NKS supporting instruments. As much as we're thinking about integrating our products nicely with each other, we are also thinking about ways our customers can integrate with their other environments better. There's Guitar Rig, there's Komplete, there's Traktor, there's Maschine. With so many different products I'm wondering how much crossover there is. And, how do you decide where to put your resources? 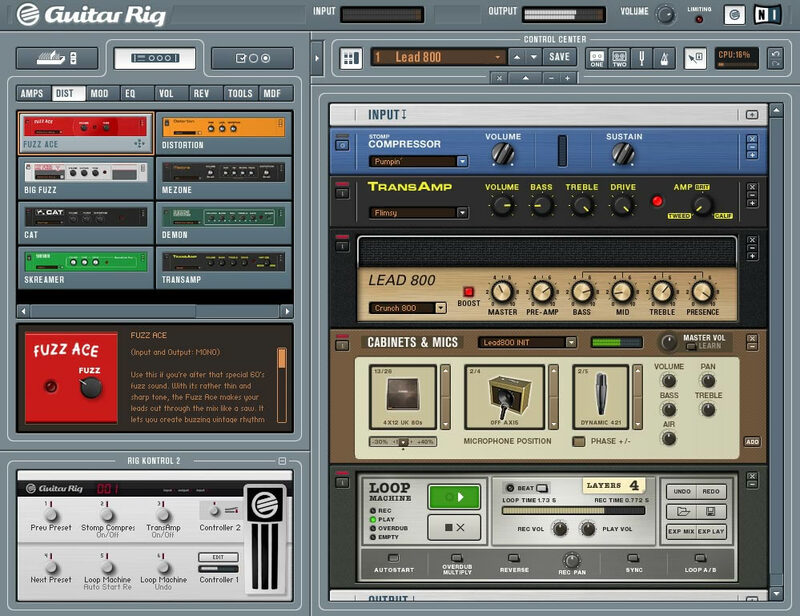 A lot of music producers from any genre, be it hip hop, electronic or whatever else, are using Guitar Rig. To them it's just a multi effects processor. If you want to be a successful DJ today, you have to also produce your own music. On the production side we see that people also interested in the DJ side because it gives them more flexibility in a live performance situation. Looking back at the history of Native Instruments, I would say that there's a much stronger overlap between the customers coming together than ever before. I mean, just look at how electronic music has merged with urban music. This was not possible ten years ago. Things are getting closer with each other. We have these two customers – DJs and music producers and everyone in between. But in order to create the right features and the right product, you now need to go one level deeper and say, "What kind of music producers are they? What kind of personas do they represent? What is their profile and how can we cluster them and create these personas that represent them?" At the end of the day, we want to make features and products that our users desire and that will help them excel in their creative pursuits. What is the future of Kontakt? There is a huge base of developers making libraries for it. I can say that there's a major update on the horizon. I cannot mention any dates or features, but what I can tell you is that we started this year to host two annual Kontakt developer conferences, held in Los Angeles and Berlin. We invited all major partners in the Kontakt domain and revealed our roadmap to them so that they can start to envision the new features that will be available to help them create even better and more exciting products. So we've invested a ton, both in the Kontakt engine and in the Kontakt product, and are now very excited to see what amazing instruments our partners will come up with. Yes. I think now there are over 4,000 Reaktor instruments, so there is a very active Reaktor builder community. But unlike Kontakt, we haven't created as much of a commercial platform. We believe that the new version will make Reaktor as prominent and as important as Kontakt, opening up the platform to new developers. So where do you guys see the market going? There's the ways to look at it economically, with pricing seeming to come down. I mean, today $49 is like spending a fortune on a product. 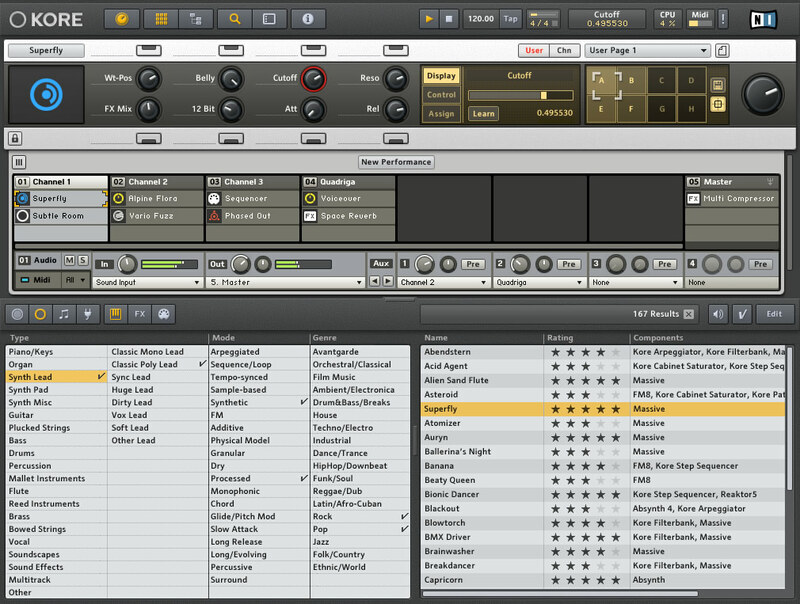 I think Native Instruments was the first brand in the plug-in space that was trying to create an ecosystem. We are all about integration and we want to continue to bring things together. It's not only software and hardware, but it's also our three brands—Maschine, Komplete and Traktor. They should come closer, because that's what the users want. Many users want to create a track now and perform it the next minute at a gig in a club, so how do you make that happen? Users want a perfect integration between software and hardware, and this is very much in line with our vision that we work on really hard. We want to keep creating products that inspire and empower producers and performers alike. 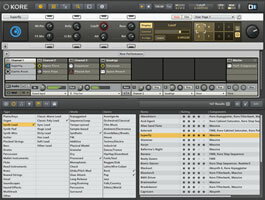 Native Instruments is an important company in the music software space. They have been responsible for several innovations, and they maintain their existing products with a high level of attention to quality. They're a company to be trusted and treated with respect.